Seamless gutters, just like regular gutters, protect your home from rain water gathering and flooding. Homeowners can face serious problems if water is not properly drained away from your home. Excess water build up around a home can start to erode away the foundation of a home and can even start to develop mold from the trapped moisture. 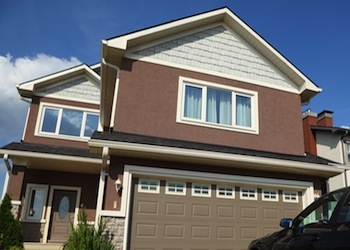 The use of seamless gutters has many advantages. One of the biggest advantages of installing seamless gutters is that the gutter is completely connected all the way around from the beginning of the gutter used to gather the water to the end of the downspout directing water away from the home. Having a closed off gutter insures that no debris or leaves will build up, which is the main reason for drainage problems in traditional gutters. Seamless gutters also require much less maintenance than standard gutters. In addition, seamless gutters are extremely durable and sturdy compared to traditional gutters. The seamless gutters installed by All Storm Solutions will match the color of your home’s exterior, making it blend in with the design of your home. The cost of seamless gutters can be a little more than traditional gutters, however the longevity of the protection they provide will far outweigh the price. You can trust All Storm Solutions to install seamless gutters on your home that will give your home the protection it needs during bad weather. Call us for more information on our seamless gutter installations and see how the professionals at All Storm Solutions can help you!